The times when you feel so stuck that it SEEMS the only option is to raid the pantry / watch one more ep of your fave Netflix show / alphabetize the spice rack. 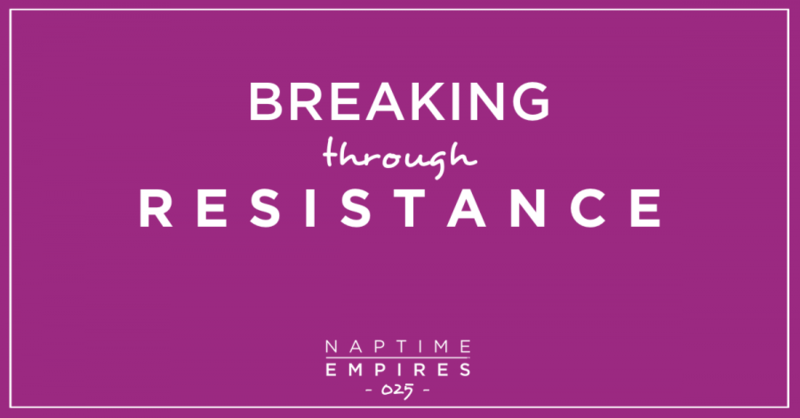 In this ep I share my most recent encounter with resistance AND what helped me snap out of it this week. Like what you hear? If SO, be sure to subscribe to Naptime Empires™ on iTunes. Or Stitcher. Or Google Play. For (SINCERELY appreciated) bonus points: Leave me a rating + review! Even just a couple quick words will help MORE entrepreneurial mamas find the show. Have a comment, Q, or idea for a future show? Gimme the scoop using the form HERE.